While I am pretty sure this fake, it is still funny. Borrowed from http://uncommonpics.com. 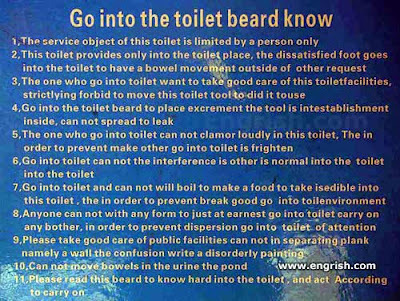 This one is from Engrish.com - I can spend hours there (and have) way too funny!